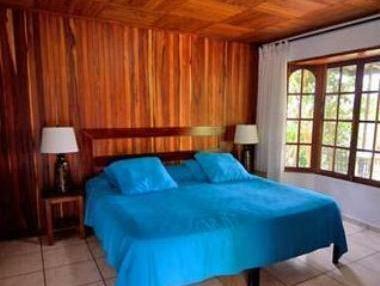 ﻿ Best Price on Santuario Lodge Agro-Hotel in Los Naranjos + Reviews! Located on the El Santuario plateau, next to Baru Volcano, Santuario Lodge offers stunning valley views. It has both cottages and hotel rooms, all with cable TV and free Wi-Fi. 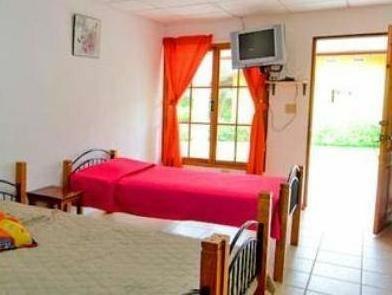 The cottages each have a bedroom and a lounge, and some also have a private terrace or a kitchen. All rooms have private bathrooms with hot water. The Palo Alto River is just a couple of minutes away, while the town of Boquete can be reached in 5 minutes’ drive. Kitchen utensils must be requested at the hotel reception upon arrival. Guests are required to show a photo ID and credit card upon check-in. Please note that all Special Requests are subject to availability and additional charges may apply.